September 14, 2017 October 23, 2017 - by rizwan - 30 Comments. Shahbaz Sharif starts Merit and Foreign Scholarships for BA, Bsc, B.com, BBA and other programs for session year 2015, 2016, 2017 Application intake 2017 starts from today. The subject areas are Life of science medicine, engineering technology, Natural Sciences, Social Sciences / Art Humanities. Pakistan Largest Educational Endowment fund Rs. 17 Billion, Awarded more than 150,000/- scholarship worth Rs. 7.5 Billion. applications submitted directly to PEEF will not be considers for award of PEEF SSMS Master level scholarship. the completed graduate degree holders can avail these scholarship for helpful doing Master degree from reputed universities of Pakistan. 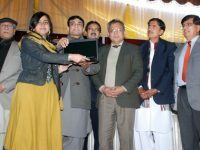 PEEF announced 1000 scholarships for providing Master Level Education. Master Level Scholarship, Shahbaz Sharif Merit Scholarships SSMS Fully Funded International Scholarships for PhD. Applications 2018-2019 intake. Secured at least 60% marks or a minimum CGPA 2.5 in BA/ B.Sc./ B.COM/ BS/ BBA etc. examination held in 2015 / 2016 / 2017 (annual) in Punjab. Secured admission as a full time student in the current academic year (2016-17) in one of the partner University / Govt. Post Graduate College. Besides fulfilling PEEF eligibility criteria, the prospective student must qualify the merit and need criteria of the respective University / Govt. Post Graduate College. Valid PhD Admissions open in World Class Universities in All over the World, The interested candidates must not have any 2nd Division in Throughout the career. declared monthly family income is equal to or less than Rs. 200,000/- per year, the applicant age limit is more than 35 years, the applicant must not available any post scholarships from any institute. All Pakistani nationals are eligible to apply for PhD foreign Scholarships. Scholarship application forms are available at PEEF Website and PEEF Office. Master level scholarships for 2017, The Punjab Educational endowment fund (PEEE) is an initiative of the government of Punjab under the dynamic leadership of chief minister Punjab, Mr. Muhammad Shahbaz Sharif. PEEE is established with a vision to open new vistas of education for the talented and needy students, so that they can play their role in the progress and welfare of the country. Endowment fund Rs. 17.10 Billion. Awarded more than 235000/- scholarships worth Rs. 12 Billion. 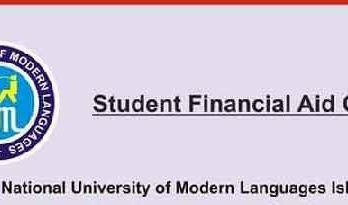 Application forms and other relevant details can be taken from students financial aid office/resource center of the partner university. Sir I need help m a masters level student. SIR I M A 3rd year MEDICAL STUDENT OF BS HONS DENTAL TECHNOLOGY IN FATIMA MEMORIAL MEDICAL AND DENTISTRY COLLEGE (FMH) in Lahore. my 3rd year study is mostly related to a different assisgnments so i have required a laptop to continue my study so its my humble request to u that give me a laptop because i have no laptop and also i have no mobile phone that is used for alternate of laptop. my mobile phone is snapped 4 month ago .my mobile phone FIR is entered in ICHRA POLICE STATION LAHORE and FIR number is 212/17. so please sir give me a laptop or mobile to continue my study. i m waited your kindness. I am a student of m.cs .my marks in bsc 485. The parsantage of marks 60.63 in gc universty fslbd. I am a poor man .. i am reading in arid agriculture universty sahiwal. I d’nt pay the fee. I request to you my fee is finish. i am student of mcs semester 3rd and i got cgpa 3.48 and i am basicaally from gujar khan ,i am studing in fatim jinnah women university. i need a scholorship for completion for my degree .is their any scholar ship for me4??? I got 941 marks in matric…my parents can’t afford my further expenses….any scholarship available? I got 833 marks in matric. My father can’t afford my further education what I can do plz guide me is there any scholarship for me so I can do fsc? I want to become a docter but my father cannot offord my fees .plz help me.i want to admission in BS. What is your contact email? Sir i want to becomr a Doctor. But my parents cant afford my private medical college expenses for Mbbs. Sir plz grant me scholarship i will return it after completing my education. My fathers income is not enough to meet my medical expenses. my contact # is 03005861631.
sir i am BS student in multan and belong to a poor family i need scholarship for further studies.THANKS! Sir i am hassan khalid.my marks in matric in 946 and my roll no is 264516.my father is a poor man.please help me.because i want to countinue my study…. My name is Amjad Khan & i am from rawalpindi dear sir i have done graduation in a very tough situation my father is disable for his one leg he cannot do any type work i have 3 sisters & 1 brother i am the eldest all of them so my responsibility is very high dear sir i want to do Masters degree but i can not afford Masters degree expence i am running my home with very difficulty dear sir i have passed my graduation with 59% marks so its very humble request to you kindly give me scholarship for Master degree i want to do Master in Computer science dear sir your kind attention required. My name is Iqra Saleem Khan. I am living in Lahore. I am a student of FS.c. I have 2 sisters and 1 brother and I am the eldest one. father is a disable person. He was burnt by acid and lost his one eye. He is unable to do any kind of job.He has grown old and weak. He is unable to earn any money for us. Now it is very difficult for him to support my studies and even the studies of my siblings. Because of our growing expenses my father is getting very upset day by day. I request you to help me. I want to support my family . Please help me so I can continue my study and support my family’s expenditures. I hope that you would listen to me and help me. I shall be very very thankful to you.